New firmware for Freematics OBD-II Emulator is available. In this update, several reported issues have been fixed including the DTC resetting issue. Since the release of BLE version of the emulator, the firmware now has two versions for hardware with and without BLE. For those purchased the BLE version of emulator before the release of our Freematics Emulator iOS app, please update your hardware with the latest firmware with the GUI software in order to use the emulator wirelessly with our iOS app. The interface of Mega Logger (the Arduino sketch developed for OBD-II Telematics Kit #3) was just re-organized. Information is displayed in a more logical layout. 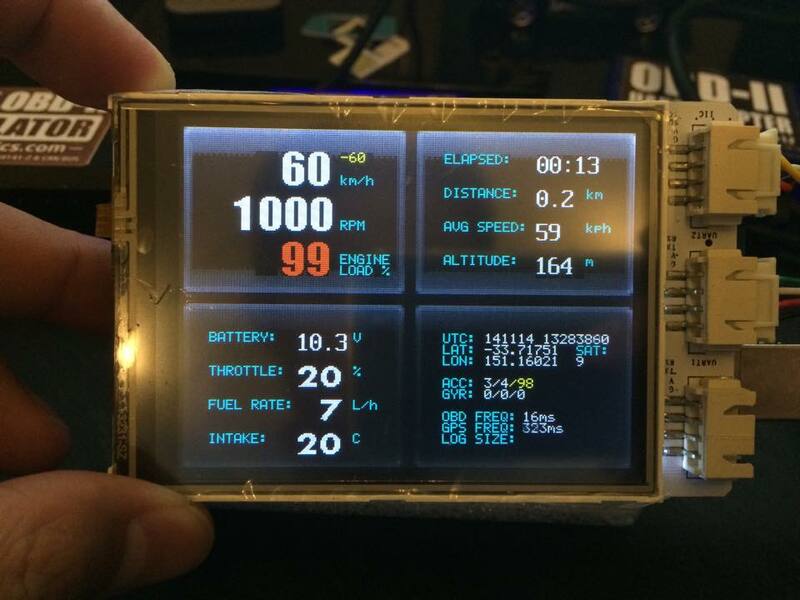 As next step, touch screen operation will be implemented for switching between different layouts of data display. The updated code is already in GitHub. 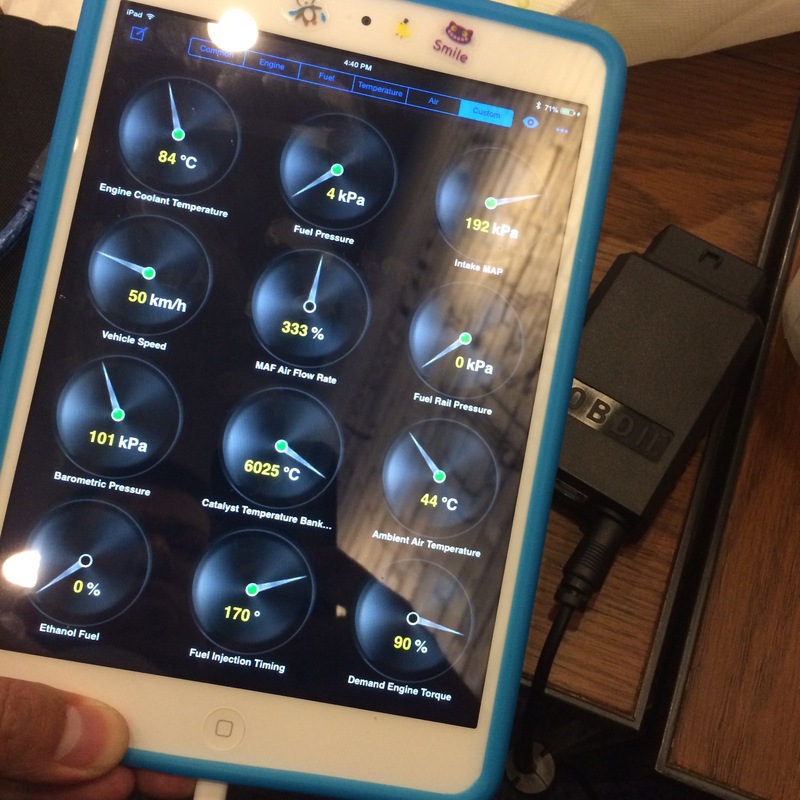 Freematics OBD-II Emulator will soon integrate Bluetooth Low Energy. That will make it possible for emulator to interact with iPad App. The App is almost a rework of the GUI on PC with more convenient touch control. The development of the App is now almost done and we are going to submit it to App Store. Stay tuned for more updates. The firmware for Freematics OBD-II emulator is updated for fixing the DTC clearing issue reported by several users. To perform the upgrade, please download the latest Freematics Emulator GUI software. In the GUI, click “Update Firmware” button and proceed with prompts. 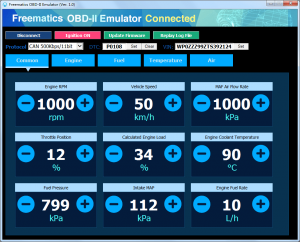 The new Freematics OBD-II Emlator will come with a GUI on PC (Apps on iPad and Android in future). The hardware of the new product is complete and ready to ship. However, the software develop is still under-going and this held back the release of the product. Finally it’s nearly done. Here is a glance of the GUI. 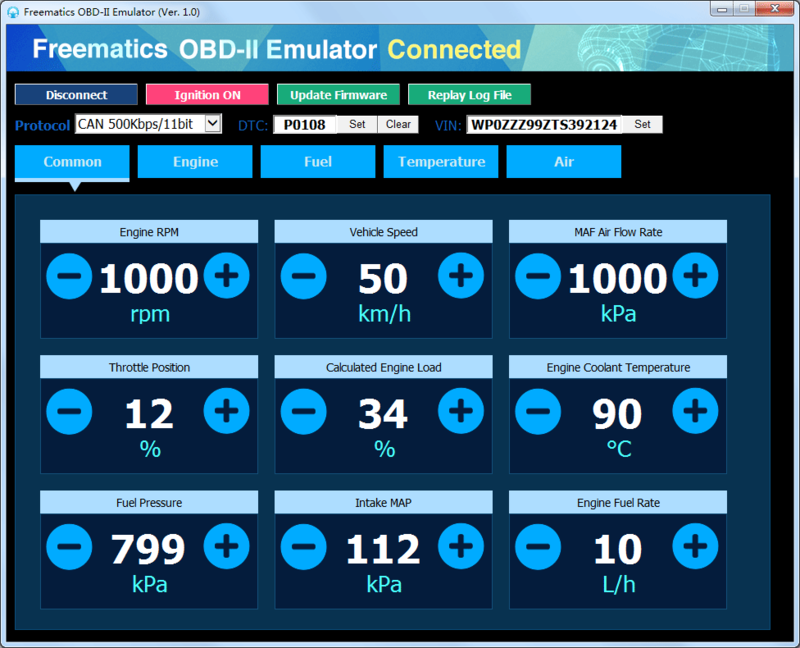 With the GUI for the emulator, it’s possible to adjust more (almost all) OBD-II PIDs in the highest possible precision. More importantly VIN and DTC can be altered and set. An ignition switch makes it possible to emulate the status on OBD-II port when ignition is on or off. More interesting features will come later, including data playback and external data sourcing. The popular Freematics OBD-II data logger kit #3 has just got better. After coming back from the Maker Faire Bay Area, we upgraded the kit by replacing the 2.8″ TFT LCD screen shield with a newly designed 3.2″ TFT LCD shield with built-on I/O sockets and optional Bluetooth module. 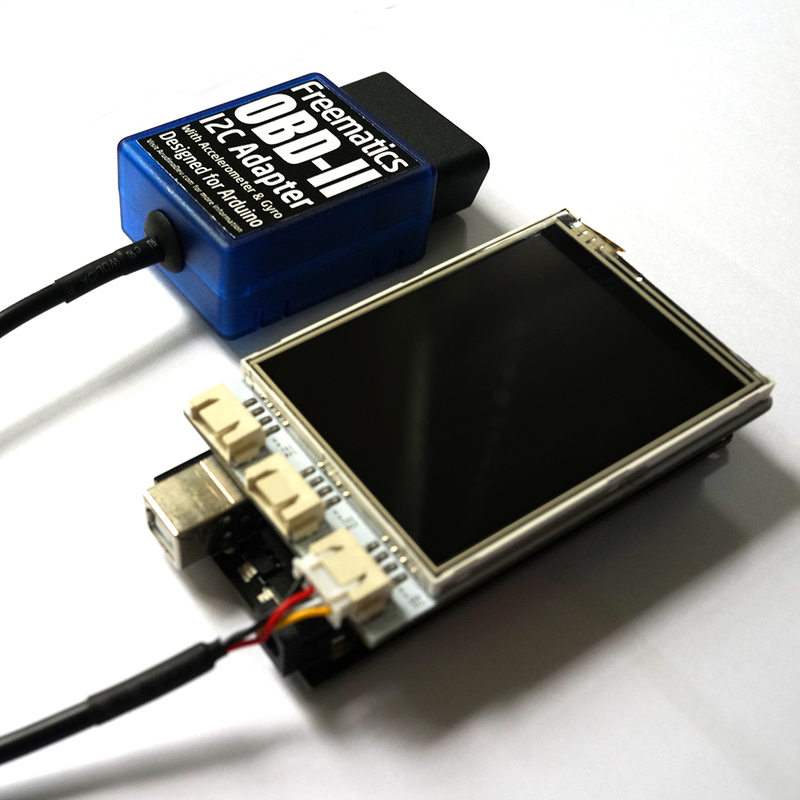 The new TFT LCD based on SSD1289 is perfectly supported by the latest revised version of MultiLCD library now. This makes screen larger (also faster) and eliminates the need for a I/O shield in the middle of TFT LCD shield and Arduino MEGA board. The Bluetooth (BLE or BT 2.1) capability is provided by a CC2540 module soldered on the back of the shield which is connected to Arduino MEGA’s Serial3. Click here to learn more about the new kit #3.